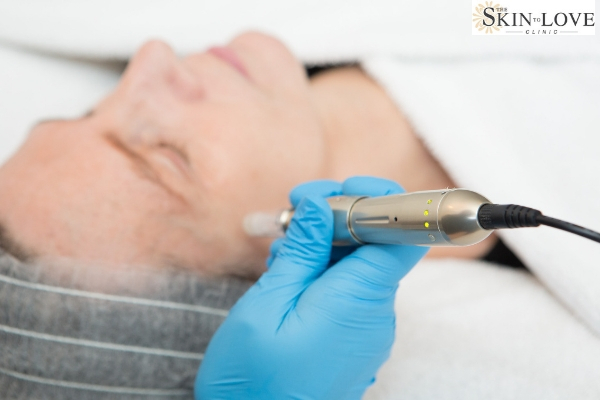 Often referred to as Derma Pen, this fractional micro-needling treatment is used to treat a number of skin concerns which require your skins repair and rejuvenate mechanism to be stimulated. 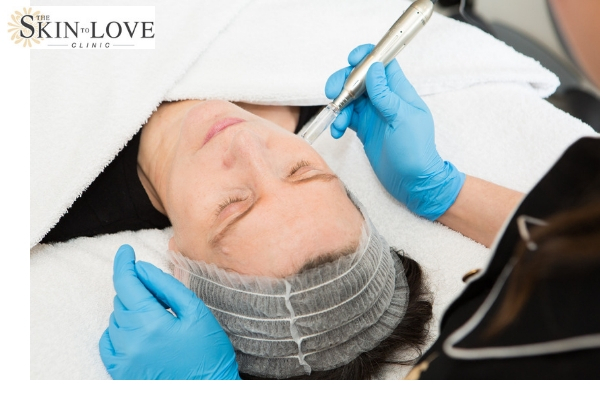 At The Skin to Love Clinic you can use this treatment to help soften scarring, improve concerns of ageing such as wrinkles and to generally improve a dull, tired-looking skin. 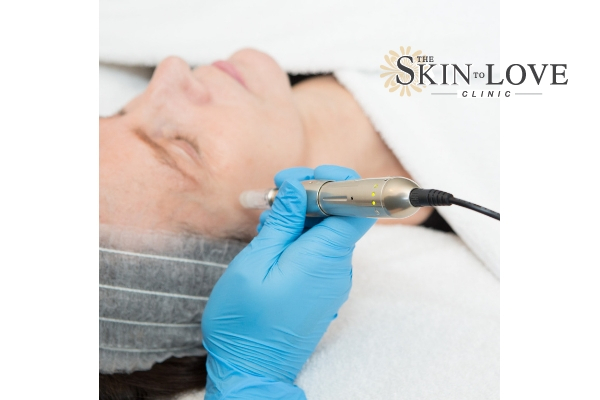 Micro-needling treatment uses tiny multiple electronically-powered needles to pierce the skin to stimulate the production of new dermal collagen, hyaluronic acid and elastin; the ageing, damaged tissue is then replaced with healthy, new skin cells. Derma FNS can help create a smoother, more even-toned, softer looking skin. Results are progressive; in the days following your treatment, your skin can start to look brighter, more refined, feel softer and show a more uniformed tone. Depending on your concern, treatment can be a single session, however results are accumulative and after each consecutive treatment your results become more significant and noticeable. You would like to improve the appearance of scarring. You would like to soften some of the signs of ageing such as fine lines. You like how your skin looks currently and want to maintain its look and feel for years to come. You have a regular approach to your skincare and are looking to boost your results. You already have, or plan to begin, a skin care regimen to help protect against signs of ageing. 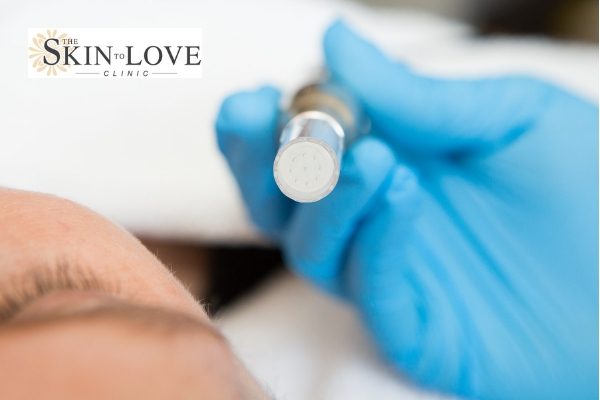 You don’t have the time or desire for more invasive procedures such as ablative laser resurfacing treatments. In our experience, no. We do advise that when you have this treatment for the first time, plan it for when you don’t have any social or work commitments the next day so that you can better understand how your skin recovers without any pressure or anxiety about your recovery. Usually, the minimum time we recommend between treatment sessions is a month. Your practitioner will assess your skin and your needs and make an individual recommendation for you. Derma FNS has a great safety profile. Consultations are an important part of the treatment process in allowing you to understand the treatment and to establish if the benefits of the treatment are outweighed by any possible side effects. During a consultation your concerns will be assessed. Your medical practitioner will be able to discuss whether this treatment is appropriate for you, as well as any suitable alternative treatments. We will be able to give you specific advice during your consultation, however, if you have very sun damaged and/or loose skin there may be better alternative treatments for you such as Fraxel Duel, Thermage CPT, Wrinkle Relaxing Injections, Dermal Fillers and the Thread Lift treatment. You may need more than one treatment of Derma FNS to achieve your results. You and your practitioner will create a treatment plan which may include using this treatment alongside other treatments. Am I too young to have Derma FNS? 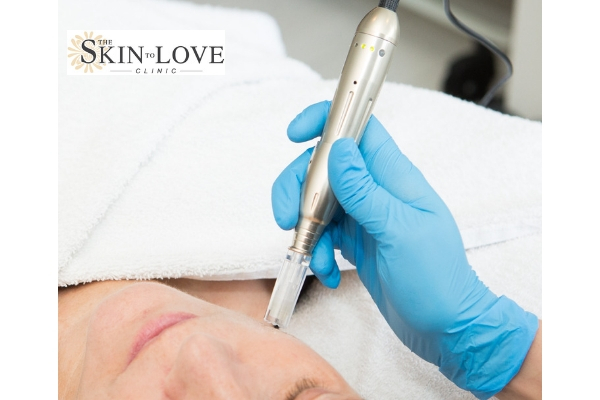 Easily incorporated into your current skincare regime and lifestyle, patients often use this micro-needling treatment to boost at-home skincare efforts, to maintain their skin and to help prevent signs of ageing. If your skin doesn’t need much correction, you have or are planning to take the basic steps to keep your skin looking its best, and you like the way you look now, Derma FNS can help maintain your skin’s youthful appearance and prevent the early signs of aging. There is no reason why those in their 20’s and 30’s shouldn’t consider this treatment as a preventative treatment and to maintain and improve healthy skin. *Disclaimer: We are all individuals therefore results from treatments may vary from person to person, because each person responds differently. Results achieved from the Derma FNS treatment will last a different amount of time from person to person, this may even vary between treatments for an individual. Results, down time and recovery following treatment will vary from patient to patient. The information we provide is based on the extensive experience we have gained from treating a wide variety of patients of different ages, genders and is based on an average patient experience.